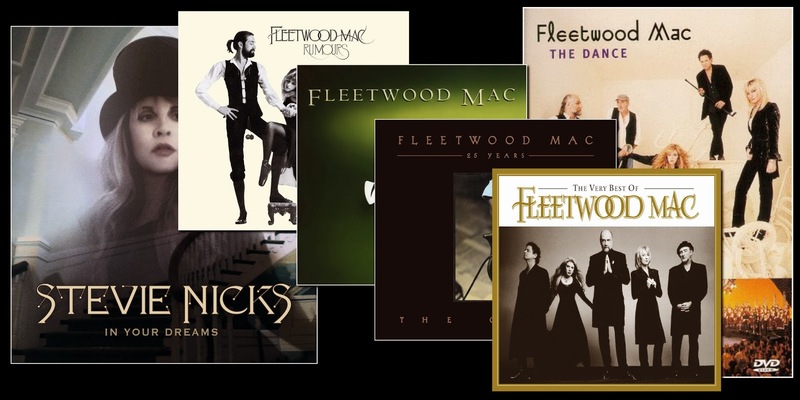 This week in the U.S., Fleetwood Mac's "The Very Best Of" re-enters the Top 200 Albums Charts at no.170 and re-enters the top 50 Catalogue Chart at No.34. On last weeks Top 200 Albums Chart in the U.S., "Rumours" was at No.59. On this weeks chart it completely drops off - which is a massive drop! The album also disappears off the Top 50 Catalogue Charts from No.8 last week. The other big mover this week is Stevie's "In Your Dreams" DVD which moves up to No.16 this week from No.27 last week. With it being its 10th week on the chart, that's a pretty healthy leap forward... Could still be the result of a bounce off the American Horror Story appearance. Canada, New Zealand, Australia, Ireland and the UK charts below.